Bring spring vibes to your home or even no matter what season it is with beautiful artificial tulips from Koch & Co. Symbolising perfect and true love, tulip flowers are ideal for any love themed occasion. From bridal bouquets to wedding decorations, or even as an anniversary or Valentine’s Day gift that will last forever - our real touch tulips are the perfect choice. 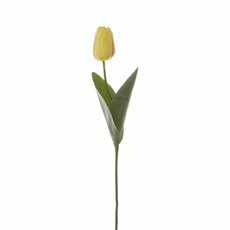 Made from high quality materials, our selection of silk tulips are available in a variety of vibrant colours- choose from light pink, purple, white, cream and yellow. 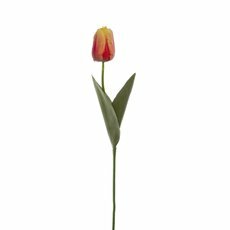 Not to mention, our artificial tulips are easy to clean and look perfect year round! Faux tulips make the perfect finishing touch to any home décor DIY project. For a truly unique and gorgeous Christmas wreath, use artificial tulips! All you need to do is cut off the tulip flower head and add it in with your artificial leaves, polystyrene wreath, berries and anything else you like. We have everything you need at Koch & Co, so you can show off your creativity! Create eye-catching flower arrangements for your home or incorporate some in your event decorations. Our stunning faux tulips are perfect on their own, in a flower bouquet or arranged amidst a selection of other equally beautiful silk flowers such as artificial orchids, artificial native flowers, hydrangeas and more. The possibilities are endless! Discover high quality artificial tulip flowers everyone is obsessing over at Koch & Co; shop our full artificial flowers collection today. We also have a wide range of artificial plants, candles and glass vases too! Don’t forget to see our DIY ideas or head to the Koch & Co Blog for more inspiring home decor ideas, incorporating artificial tulips and the likes.